Kyiv is the cradle of Slavic civilization and one of the most ancient, majestic, and beautiful cities of Europe. For good reasons, Honore de Balzac called it the Eternal City, Northern Rome. Not every European capital can be proud of such a long history and so many cultural landmarks. 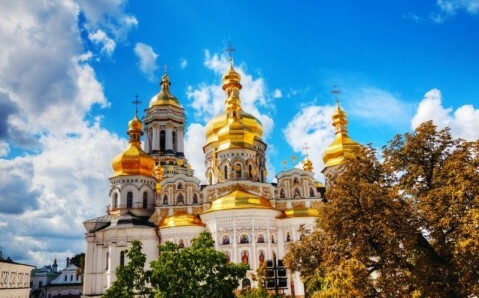 Kyiv’s original appearance and ancient traditions are combined seamlessly with modernity, and its distinct charm and hospitality make it one of the most appealing cities of not only Ukraine, but of the whole world. 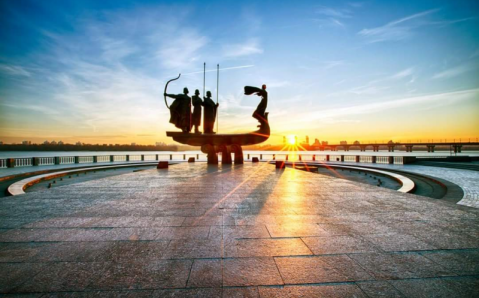 Kyiv, whose history goes back over 1500 years, was named after Kyi, the elder of the two legendary brothers who created the city with their sister, Lybid. A competing legend claims that the city got its name from its first citizens, the kiyans, who maintained the Dnieper River crossing. In the 9th century, Kyiv became the capital of one of the most powerful states of Eastern Ukraine: Kyivan Rus. At that time it was an important political, economic, and cultural center. 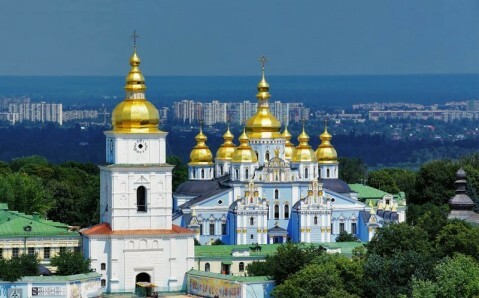 After the year 988, when Prince Vladimir converted Rus to Christianity, Kyiv became a spiritual capital and is until today one of the most famous Christian cities in the world. The city lost its power when the Mongol-Tatars overran it in 1240. After that, Kyiv was a part the Grand Duchy of Lithuania, Russia, the Ukrainian Soviet Republic, and, since 1991, the capital of independent Ukraine. But regardless of the numerous was and invasions that Kyiv has gone through, the city was able to preserve its ancient heritage. 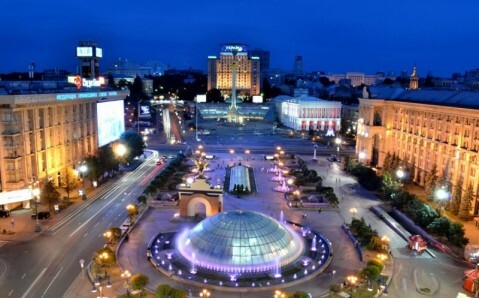 It is best to start discovering the Ukrainian capital from its center, the Independence Square. It is the heart of Ukraine, which beats in unison with current events. It obtained its modern look only recently – in 2001, new monuments, sculptures and fountains were built here. At the same time, a tall column with a statue of a girl holding a cranberry branch, the symbol of Ukraine's independence, was raised in its center. Today, this monument is one of the capital's most famous landmarks. The main square is crossed by the legendary Khreshchatyk, Kyiv’s main street, which is almost one and a half kilometers (one mile) long. During the week, it is a dynamic center for business; on the weekends, when the street becomes closed off to vehicles, it is one of locals’ and tourists’ favorite places to stroll. The buildings on Khreshchatyk are mostly in the “Stalin-era” style, having been built after World War II. During the war, the historical center and many buildings on the main street were destroyed. When German forces entered Kyiv in 1941, the retreating Red Army mined and exploded the center of the city. Today, Khreshchatyk is the place where you can best feel the original rhythm and atmosphere of Ukraine’s capital. Here, you can listen to street musicians, watch the performances, and enjoy the sights of the blossoming chestnut trees in the spring. The large number of monuments dating back to Kyivan Rus constantly remind its visitors of Kyiv’s ancient past. One example of this is the Golden Gateway, a unique sample of Old Russian military architecture, that is one of UNESCO’s World Heritage Sites. Another example is the St. Sophia Cathedral, in which wonderful Byzantine frescos survive until today. There is also the St. Michael Cathedral, famous for its shimmering mosaics. And, of course, there is Kyiv’s Pechersk Lavra, a stunning monastery complex spread on the high Dnieper banks. 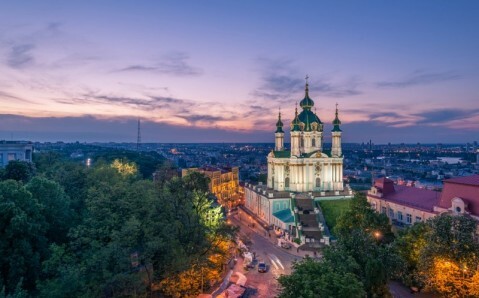 The delicate charm of 18th century Kyiv is presented most beautifully in St. Andrew's Church, which is called the last masterpiece of the great Rastrelli. The Andriyivsky Descent, known as Kyiv’s “Montmartre,” is the most picturesque of the capital’s streets. On it, the artistic atmosphere of past century remains until today. Strolling through it now, like in times past, you will enter an atmosphere of freedom and creativity and find dozens of artistic workshops, galleries and saloons. Kyiv is also famous for its unique museums. One of them, the National Museum of the Great Patriotic War (World War II), is devoted to Ukraine’s contributions to the Allies’ victory over fascism. The museum not only amazes with its astonishing number and high quality of exhibits, but also with its central statue, the "Homeland-Mother.” The Chernobyl Museum describes one of Ukraine's most tragic days, on which the awful accident in Chernobyl’s nuclear power plant took place. Of all the wonderful museums in Kyiv, one that deserves special mention is the Bohdan and Varvara Khanenko Museum of Arts, which keeps the best collection of art in Ukraine. Kyiv is among the greenest of Europe’s cities, and it is famous for its cozy parks. The Mariinsky Park is the most popular. Its main sight is the luxurious Mariinsky Palace, built in the 18th century on orders of Russia’s Empress Elizabeth. Now, it is the Ukrainian President’s official residence. Also interesting is the House with Chimeras, one of the most famous of Kyiv’s Art Nouveau buildings. This mansion, whose roof and facade are decorated with creatures similar to those who adorn the Notre Dame in Paris, is considered to be the most unusual building in Kyiv. Several landmarks in Kyiv’s outskirts deserve special attention: the open air complex Pirogovo, as well as the “city-museum” Pereiaslav-Khmelnytskyi. The latter is one of Ukraine’s oldest towns, and it packs over 30 museums on its tiny territory. To its visitors, Kyiv is a real marvel! This city history witnessed and participated in many important events and years of hardship and prosperity. Now, it shares its wisdom and charm with each of its guests. Kyiv’s majestic churches, fantastic landscapes, peculiar architecture, unusual museums, and unique monuments will make you fall in love, and you will dream of visiting it again and again.